It's that time of year. The holidays are in full swing, and I couldn't be more excited. This week, I am taking advantage of some time off to get into the Christmas spirit and decorate my house. My family likes to choose a different theme from year to year. Usually it's a color scheme—silver and gold, red and white, etc—but this year we were inspired by Harry Potter. Anyone who knows my sisters and me knows that we are huge fans of the series, and we have been having tons of fun thinking of different ways we can incorporate it into our holiday decor. 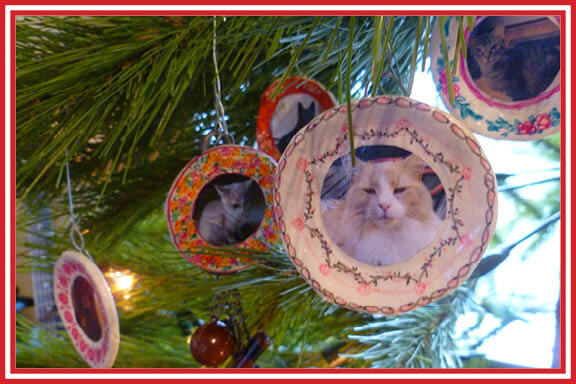 Below are a couple of ornaments we came up with. Click on the links to download a tutorial pdf. 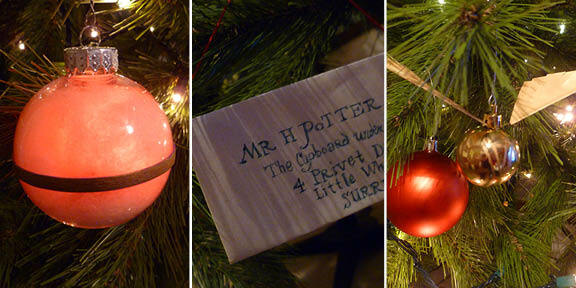 These were inspired by the cat plates that the evil Professor Umbridge has hanging in her office in The Order of the Phoenix. Pretty little patterns and cats—what's not to love? I think these would also make great magnets. 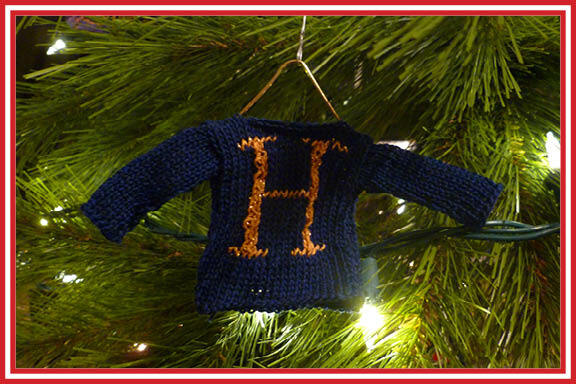 This is a miniature replica of the monogram sweater Mrs. Weasley knits for Harry. It is similar to the doll sweaters I have made in the past. Up next... remembralls, Hogwarts letters, and golden snitches! I love your Christmas Tree this year!!! What a cool idea!! !